Once or twice every 10 years, right in the middle of the Lenten season of fasting and abstinence, Saint Patrick’s Day lands on a Friday. However, anxious Catholics across the country can rest easy as many US Bishops have granted dispensation, meaning that we can feel free to eat meat, drink, and be merry, despite the rules of Lent. To see if your diocese has been granted dispensation by your Bishop, take a look at this list. With all of the hubbub surrounding Lent and Saint Patrick’s day, we got to thinking. 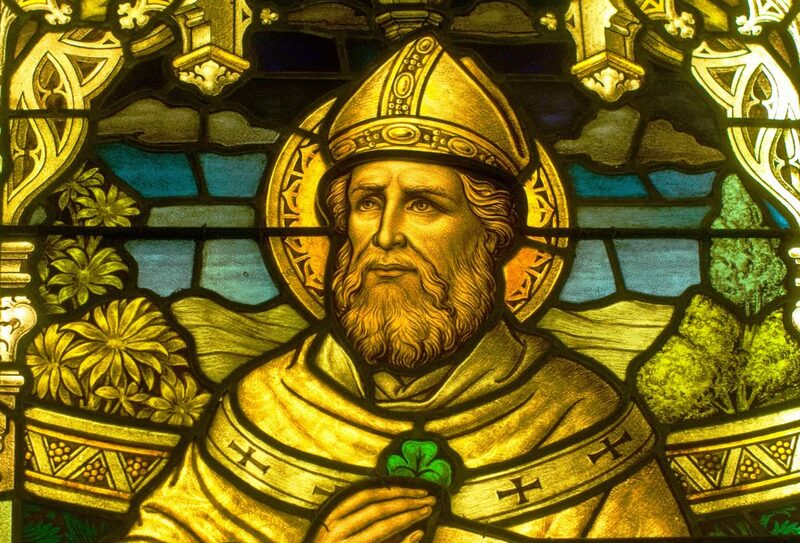 Who was Saint Patrick? When and where did he live? How is it that we can eat meat this Friday because of him?! 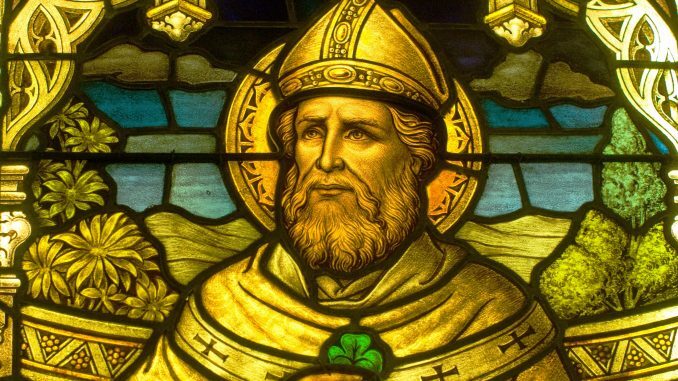 Here are a few things we found out about Saint Patrick that might surprise you! Universally known and revered as the Patron Saint of Ireland, “Patrick was born in Roman Britain to a middle-class family in about A.D. 390.” 1. While he was raised in a Catholic family, he wasn’t particularly devout until, at the age of 16, he was kidnapped by Irish raiders and taken back to Ireland where he was sold and put to work as a shepherd. It was during this harsh time that he cultivated his relationship with God. 6 years after his kidnapping, he had a vision from God saying, “Your hungers are rewarded. You are going home. Look — your ship is ready,” 2. at which point he escaped his captors, walked 200 miles to the shore, boarded a ship and headed to France and eventually back home. 2. His name wasn’t actually Patrick. After arriving in France and studying for many years, eventually becoming a Priest and Bishop, Maewyn Succat changed his name to “Patricius (or Patrick), which derives from the Latin term for ‘father figure. '” 3. It was almost 30 years after his escape from slavery and vocation to priesthood that Patrick was called back to Ireland in a another vision from God. At the time when Patrick returned as a missionary, Ireland was a savage country with feuding tribes of Celts and Druids. In 432 A.D., he built the first Catholic church in Ireland and set about converting, baptising, proselytizing and spreading the light of Christ to the people of Ireland. “Patrick’s ministry lasted 29 years. He baptized over 120,000 Irishmen and planted 300 churches.” 4. He laid the groundwork in what would become the dominant religion of Ireland. 4. He never chased away the snakes. Legend has it that Ireland’s famous lack of snakes was due to Saint Patrick chasing them away while he fasted on a mountain top. While there are indeed no snakes native to Ireland, it’s because of the last Ice Age which rendered Ireland all but uninhabitable to many reptiles. As Ireland is an island, it would also be very difficult for snakes to arrive naturally. While Saint Patrick achieved many amazing things in his life, removing all the snakes from Ireland was not one of them. 5. Saint Patrick’s Day is a day of peace, as well as celebration. The first Saint Patrick’s Day celebration in America was held in New York in 1762 by Irish members of the British army. The day soon turned into a nationwide celebration of Catholicism and anti-British sentiment. As Irish immigrants continued to stream into the New World, the old tensions of Catholic vs. Protestant came with them. Often celebrating with different parades and different colors on different days, the Irish Catholic and Irish Protestant celebrations would devolve into feuding and brawling. But as the years went by and tensions eased with the help of clergy from both sides, Saint Patrick’s Day become known as a day of Christian unity and peace. 5. Just as Saint Patrick navigated the chasm between pagan and Catholic Ireland, Saint Patrick’s Day has come to be known, especially in Ireland, as a day of building bridges between factions for the sake of celebrating a common Irish heritage. As you sit down this Friday to enjoy your corned beef (if you so choose), remember the real Saint Patrick; the man behind the holiday. It’s a day to be thankful for the sacrifices of our Irish ancestors as well as the man who brought the word of God to his adopted home of Ireland. He wasnt just british he was roman celt from what is now wales. That may have helped him in understanding the irish as there were still pagan celts in wales at the time.